Last week our cat, Lili, was circling a bag on the kitchen floor. I picked it up and underneath was the biggest centipede I’ve ever seen. I was thankful she didn’t get stung. The next night, Lili was staring at the floor where I was going back-and-forth clearing the table, and I almost stepped on the second centipede. Mike said, “I told you they always travel in pairs!” We keep a pair of kitchen tongs handy to catch them, then flush them down the toilet. Last summer there was a terrible mice invasion in Kula and Kihei. Our friends with acreage caught over 3,000 mice. They gave up on traps and the husband cleverly designed a barrel with water in it and a tight-rope system above, where the mice fell in and drowned. He should probably patent it. And now the mice are starting in again! And Mike catches rats in his shop with regularity. Another friend clicks her tongue and sends her two dogs on a “hunt” for centipedes through the house every evening. She was stung this past winter and her foot swelled with poison that no amount of antibiotics touched for weeks. Sure enough, the tenant above who said, “Ewww,” about the rat, is now talking about moving back to the mainland. A hui hou! Mahalo for reading along. if you’d like to stay in the loop, please click the “Follow” button to the right, or on the Homepage. This entry was posted in Life in Hawaii and tagged centipede sting, centipedes in Hawaii, how to catch a centipede, mice in Kula, move to Hawaii, new to Hawaii by jamaicawtr. Bookmark the permalink. 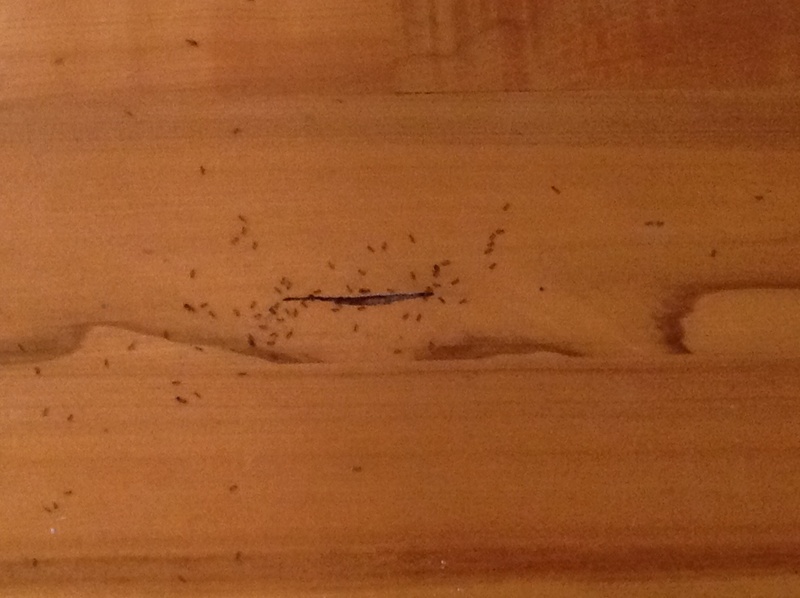 I’ve got a few ways to help control the mice, peppermint oil, the ants and roaches, 20mule team boax, sprinkle on floor where you see them, let it stay a couple of nites so they get it on them and carry it back to nest…Bam!! Dead bugs!! Cheap, no toxic fumes, works for me! Thanks, Patricia. I have tried the 20 Mule Team Borax for the last two nights…it has slowed them down considerably, but they still aren’t gone. Fingers crossed.